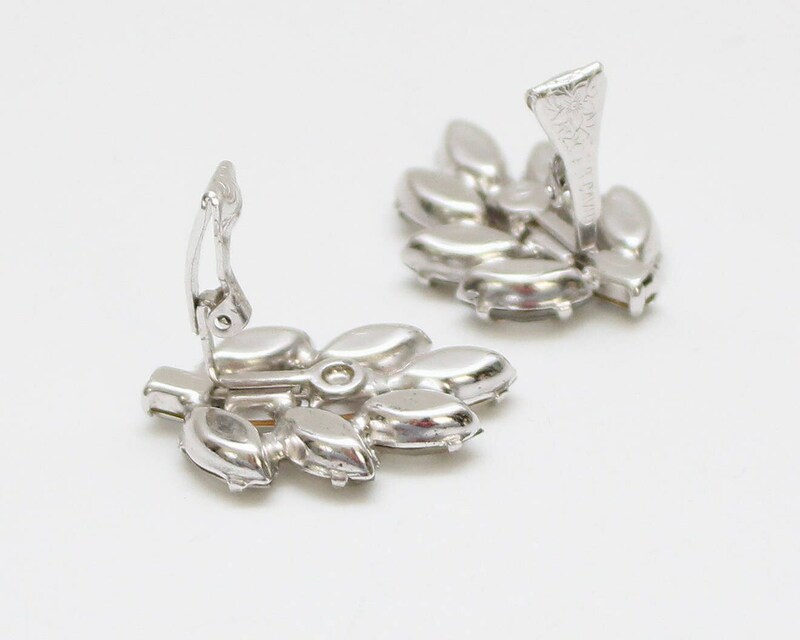 A simple but elegant pair of B David clip on earrings, with navette stone "leaves" on a baguette stone branch. 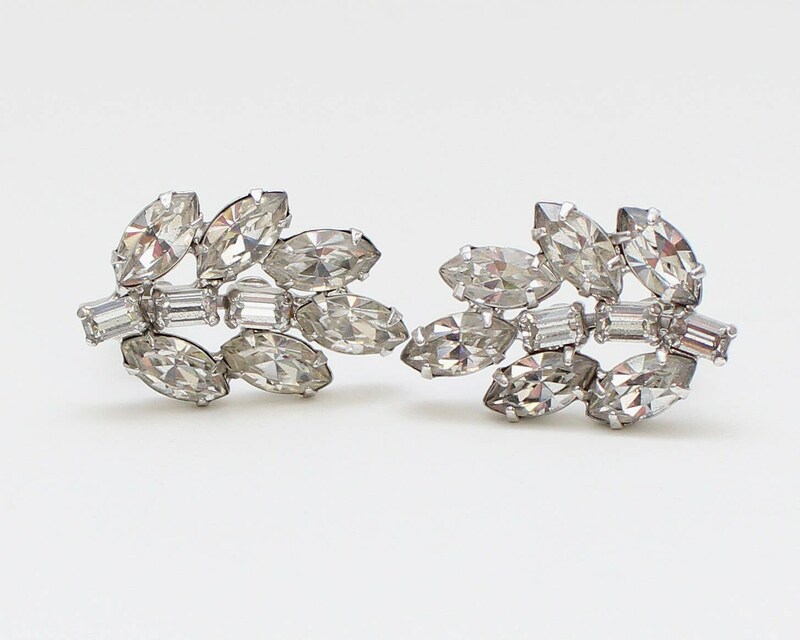 Prong set in silver tone with narrow clip backs. 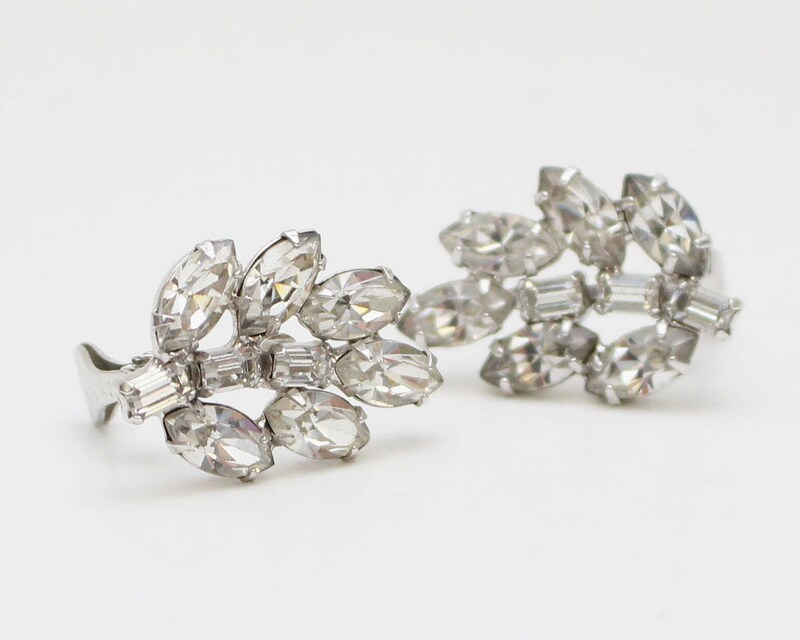 Excellent condition with crisp clear stones and no noted flaws.